Missouri Governor Jay Nixon has vetoed legislation which would have stopped minors from buying electronic cigarettes – and the move has ignited a huge debate in the state. Nixon says he vetoed the bill because it would have given e-cigs an exemption from other laws regulating tobacco, such as taxes and sales restrictions, and called the proposal a “special loophole” for tobacco companies who have moved full blast into the e-cigarette market. Nixon is calling on lawmakers to put together a more comprehensive proposal to regulate vapor products. 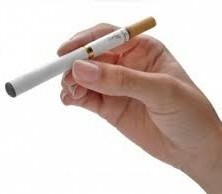 A number of organizations representing the electronic cigarette industry have blasted Nixon for his veto, saying that it should have been an easy decision for the governor to prohibit the sale of the devices to those under 18. Nearly half the states in the U.S. have already done so, and groups like the American Vaping Association is calling on Missouri’s legislature to override the veto in the name of “common sense.” They say it’s clear that American public opinion is in favor of age limits and against treating ecigs like regular cigarettes, with only few states regulating the devices under tobacco laws. Major health groups including the American Cancer Society and the American Lung Association had called on Governor Nixon to veto the legislation.